The first thing to do to get ready for your new floor installation is clear the area of all decorative items, furniture, appliances, and electronics. It should be empty. If the old flooring needs to be removed and hauled away, this is the time to do it. If you need help with this, please let us know ahead of time so we can get the work done and keep the installation on schedule. We strongly advise that you plan to keep children and pets away from the installation areas. 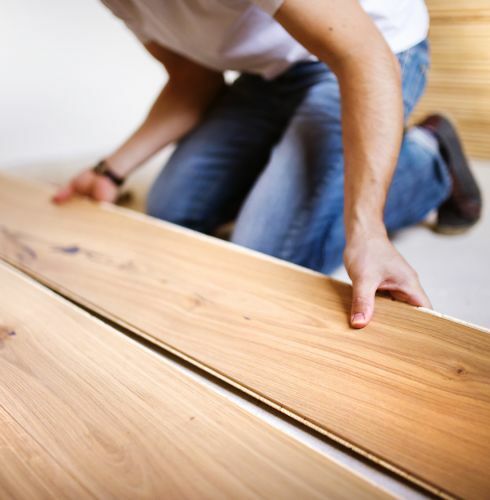 Depending on the type of flooring and its location, our installation team can be quite busy. When you look at a good installation, all you see is the flooring. Looking at a bad installation, your eye immediately stops on the problem –unevenness, buckling, discoloring, and never appreciates the floor. After we leave your home, we’ll get in touch with you a few days later to touch base on your floor and your experience. Twin Oaks Carpet fully warranties our work on your installation. When you add that to the manufacturers’ guarantees, your floor is well-covered come what may. Since 1977, we’ve served our customers in the far west Chicago suburbs. From pre-planning to clean-up our goal is for you to have an extraordinary customer experience. We appreciate you choosing Twin Oaks Carpet for your flooring purchase and installation, and for trusting your home with us.